Octanorm Shell Scheme Booth are the newest type of exhibition booths used in the market. It is a system of creating simple yet attractive exhibition booths to allure the customers towards the stall. The most beautiful thing about these shell scheme exhibition stands is that they do not need any type of carpentry, painting or any other tools for installation. These shell scheme booths are modular and easy to fit anywhere. That is why they are famous among the exhibition organizers. It is a package that generally includes the stuff like carpet, lighting, grid ceiling, and fancy name boards in different sizes. Mostly the exhibition contractors opt for these Shell Scheme booth over the traditional exhibition stands. These stands are reusable and can be used multiple times. They support to go green morality with eco-friendly raw materials. They are highly modular and dynamic. Can mold according to the existing booth schemes. Available in cost effective rates. All the level of companies either big or small opt for these exhibition stands for its highly superlative qualities. Orange Fairs and Events are the largest suppliers of OctanormShell Scheme Booth Abu Dhabi. You will get a fully designed shell scheme booth from us.The strong graphics is the most effective feature of these stands. Our talented graphic design architects design these shell scheme booths in a very effective and appealing manner. We assure you that your exhibition stand will turn out to be the eye candy for any viewer. We create custom designed Octanorm Shell Scheme Booth in Dubai. You can get all types of designs and sets according to your requirements.Our team is rich in innovative ideas and they know to carve the imagination into reality. 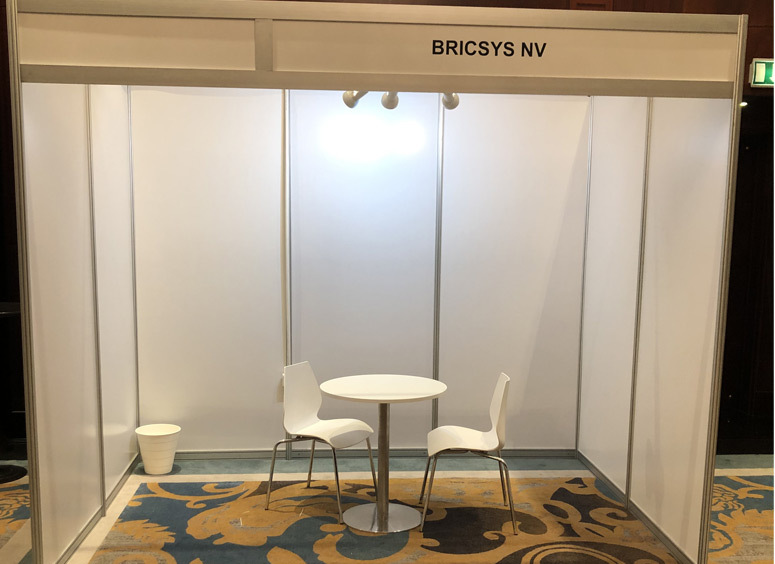 You can reuse your custom designed shell scheme booths for multiple times at different exhibitions and create a brand effect of your company. These stands are created with utmost care and precision. The satisfaction of the client is our prime responsibility. You can also opt of Shell scheme booth Rental Dubai from Orange Fairs and Events. We have numerous pre designed shell scheme booths available for rent at any time. You can select the one you like and module it according to your requirement. Orange Fairs and Events are one of the best Shell Scheme suppliers in Dubai and have a wide range of designs and options to choose from. Our work speaks for us. We never compromise with the quality of work. We aim to deliver the best piece of work in a limited period of time.We assure you with the most unique and attractive results for your exhibition stands.We are always available for your help and assistance. You can contact us anytime via call, email or SMS. Connect with us and dazzle your brand in the exhibition. P.O. Box 111164, Dubai, United Arab Emirates.